Former British Formula 1 driver Max Chilton will join Chip Ganassi Racing for the 2016 IndyCar season. 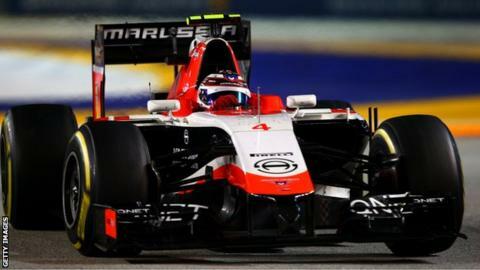 Chilton, 24, drove for two seasons in F1 with Marussia before losing his seat in 2015 after the team was re-branded as Manor Marussia. He competed in Le Mans 24 Hours in 2015 and last season raced in America's Indy Lights series, winning once. Chilton said: "In the last three years I haven't had a car that can get a podium. This year I have no excuses." New Zealander Scott Dixon won last year's IndyCar drivers' championship with Chip Ganassi. Chilton, who will drive a Chevrolet, will become the fourth British driver in the last 24 years, after Nigel Mansell, Mark Blundell and Justin Wilson, to join IndyCar full-time after competing in F1 in the same capacity. Wilson died at the age of 37 after being struck by flying debris and suffering a serious head injury in an IndyCar race in Pennsylvania last August. Chilton made 35 starts in F1 across the 2013 and 2014 seasons and set a new driver's record of 25 consecutive finishes, with 19 of them coming in his first season.